While MRL Ltd.?s Ganoderma lucidium powder is not an extract of Ganoderma lucidium, the powder does contains both mycelium and primordia (young fruit body) cultivated into a biomass that is grown on a sterilised (autoclaved) substrate. This cultivation process ensures the powder is free from contamination by other fungi and that pesticides and heavy metals are absent. The cultivation system is proprietary, allowing for standardised production of Ganoderma lucidium. The powder biomass is then sealed in plastic containers. Our Ganoderma lucidium is processed under the same rigorously controlled conditions that are applied to the manufacture of a conventional pharmaceutical. 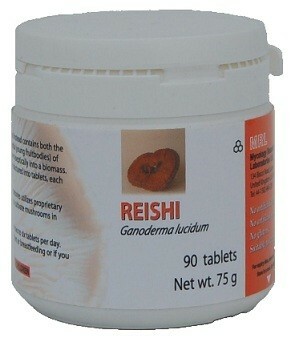 This ensures that each tablet contains 500 mg of standardised Ganoderma lucidium product. The tablets are film coated to protect them from moisture, thus preserving the quality of the product and ensuring a long shelf life. After passing quality control testing the tablets are released for use. 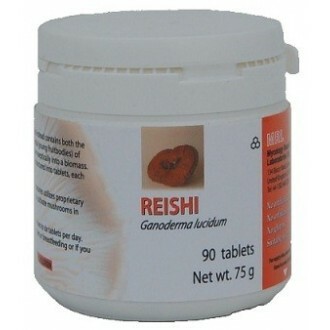 The choice of additives used in manufacture renders these tablets suitable for Kosher or vegetarian use.